The shock UK business news of this week happened first thing on Monday morning, with the announcement of the resignation of Phillip Clarke from his role as Tesco CEO. Perhaps for those in the know, this wasn’t a shock, but for those on the outside, the resignation of Clarke, with over 40 years service (this week) at the retailer feels like a bell of change tolling. The announcement comes on the back of another period of falling like for like sales and a further profit warning. 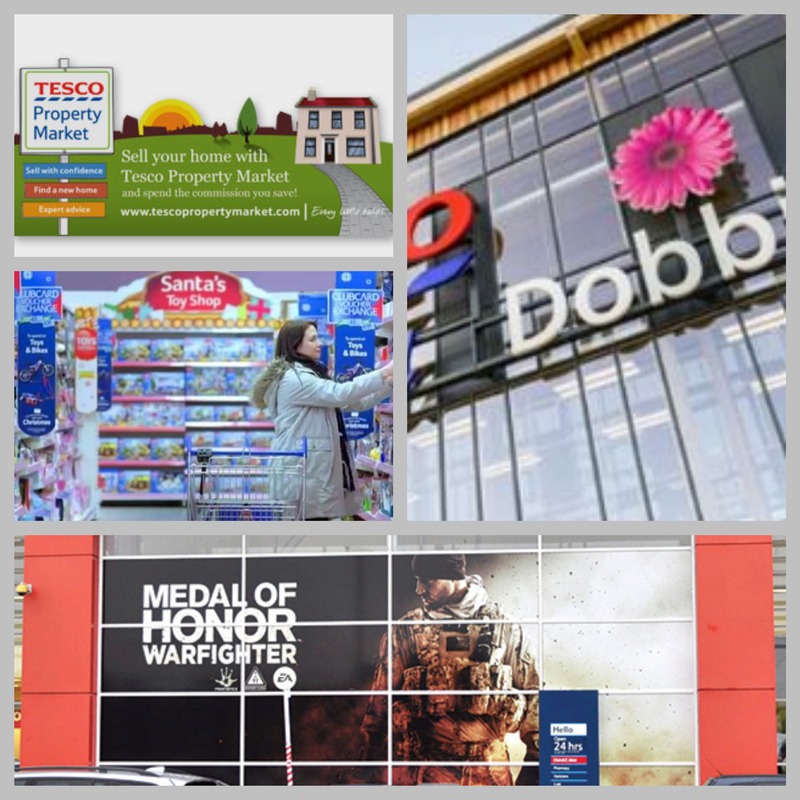 Reasons for the decline are being postulated broadly, from the destabilising international strategy, to lack of investment in UK stores, to a resurgent Sainsbury’s or the rise (at last, you may say) of the discounters. All of the these factors, and more, will be playing a role, although it would be a foolish person who writes Tesco off – they still make in the order of £3bn of pre tax profit. But go around a Tesco store nowadays with a sharp eye and the problem becomes self-evident. Near to the Crow offices, we have a large Tesco Extra (who doesn’t, it seems?). It’s a first floor store where you park underneath then take the escalator up: at this time of year, you are greeted with pallet displays of barbecue coals, weed killer, leggy lavender* and plastic outdoor furniture. In Winter, it will be cardboard display stands full of driveway salt and windscreen de-icer. All advertised with price points printed off from Powerpoint. Walk inside, and apart from the normal stacks of foyer special offers, the aisles that greet you are an odd hodge podge of categories. Photo printing machines, aisles of toys, DVDs, lighting fittings, home brew kits and paint. No enticing fresh vegetables; no roasty smell of coffee or rotisserie chicken. No yeasty, doughy bread smell. No one tempting me with cream cakes or a new flavour of pizza. Turn left towards where you believe the food will be, and first up it’s a huge clothes section and opposite, cosmetics, toothpastes and sun creams. Tesco is falling for anything. Worse perhaps, it is stuck in the middle ground between more distinctive competitors. The clear high-end retailers at one end, Waitrose, Booths; and the discounters at the other end. As both groups find new sites and innovate how they reach their shoppers, the vice will tighten yet more. Indeed, Sainsbury’s too are beginning to feel its pinch. As a retailer, it needs to think about what made it famous and find a way to re purpose this meaning and communicate it again. Very little about their offer today says fresh, inspiring food: an issue against Waitrose, against Sainsbury or increasingly M&S. Very little about them today says ‘stack it high, sell it cheap’: an issue against Aldi, against Lidl and even ASDA. Very little about their broad array of services says ‘every little helps’, at least no better than the others. In fact, it may be a cruel irony that a campaign that helped fuel Tesco’s move from a pre tax profit of £750m to over £3bn may be proving to be their undoing. Put simply, Tesco seems to be offering everything to everybody; and its core business has suffered. Perhaps this search for meaning is why Tesco have trusted their CEO reins to a man with little direct retail experience but lots of brand experience. My bet is on them to succeed, but they will need every little bit of help to get there. * Of the horticultural kind. **There is some debate about who originated this: a US medical doctor, Gordon A Eadie, or even Malcolm X.
David Preston is founder of The Crow Flies, a strategy, research and innovation company that discovers and maps the direct route to success for brands. david@thecrowflies.co.uk; +44 (0) 7885 408367. Follow The Crow Flies on Linked In (http://www.linkedin.com/company/the-crow-flies-ltd?trk=company_name), on Facebook (https://www.facebook.com/thecrowfliesltd) or on Twitter (@crowflieshigh).